Today is Wednesday, March 22, the 81st day of 2017 in the Gregorian calendar, with 284 days remaining. 1,400 days until the end of Donald Trump's term as President, assuming he isn't impeached. 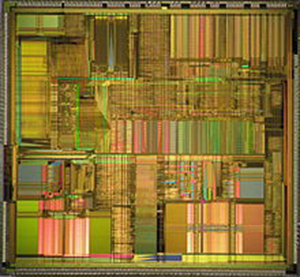 On this date in 1993, Intel Corporation unveiled the original Pentium microprocessor, the P5. Today is also World Water Day. Interesting fact: Fewer Americans would be insured with the G.O.P. plan than with a simple repeal. Abu Dhabi to Los Angeles: 17 hours without a laptop. The Department of Homeland Security will no longer allow passengers to carry electronics onto flights to the U.S. from 10 major airports in the Middle East and North Africa. Devices larger than a mobile phone- including laptops, tablets, and cameras- will need to be placed in checked baggage. Peeing on jellyfish stings does nothing. Except relieve the bladder, of course. My favorite comedian/talk show host, Craig Ferguson, made Today Show producers so nervous they used a five-second delay during the program. The 'Like' button ruined the Internet. Once other people start telling you what they like via Like buttons, you inevitably start hewing to their idea of what's good. And since "people tend to be extremely similar in their vulgar and prurient and dumb interests and wildly different in their refined and aesthetic and noble interests," the stuff you publish will start looking a lot like the stuff that everybody else publishes, because everybody sort of likes the same thing and everybody is fishing for Likes.